100% wool double-sided, screw-on, pad with a stiffer central hub for more cutting power. 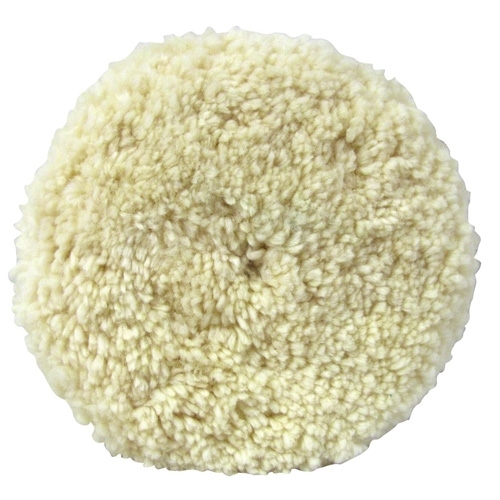 This pad has untwisted yarn construction, which allows for more surface contact, while giving excellent cut and finish. Aggressive cut. Excellent for all paints and clears. Use with 3M 05710 screw on adapter. Suggested for use with 3M Perfect-It Rubbing Compound (39060, 06085, 06086).